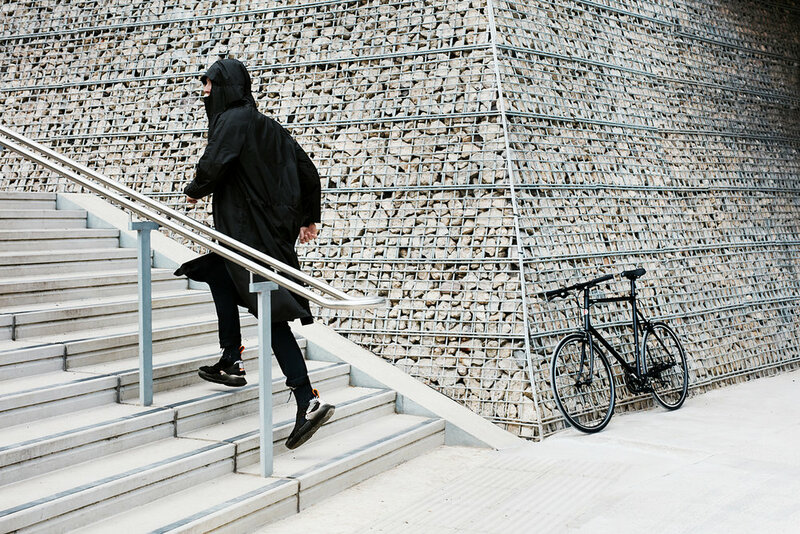 The Cyclist Raincoat is a breathable, lightweight overcoat ideal for cycling. An everyday essential, determined to be the minimalist techwear item of your wardrobe. 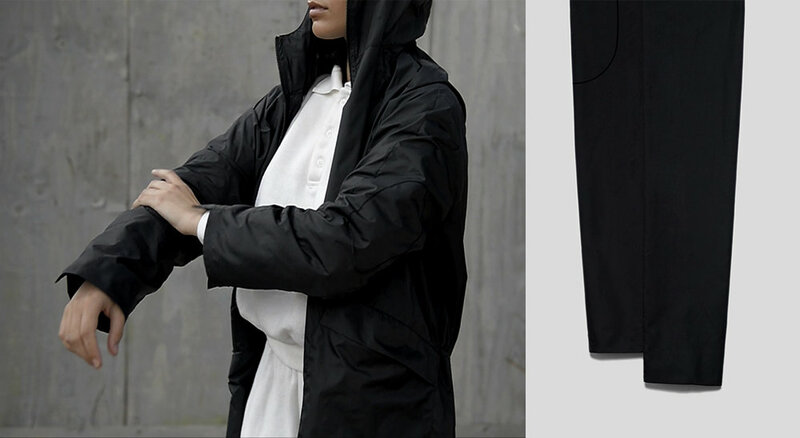 Using state-of-the-art technology melded with a simple utilitarian design, the unisex Cyclist Raincoat is effortless to use - on and off any two-wheeler, protecting against all elements in all seasons. Some call raincoats the Tupperware of the modern wardrobe, but we can change this perception if you join our journey and support our campaign. 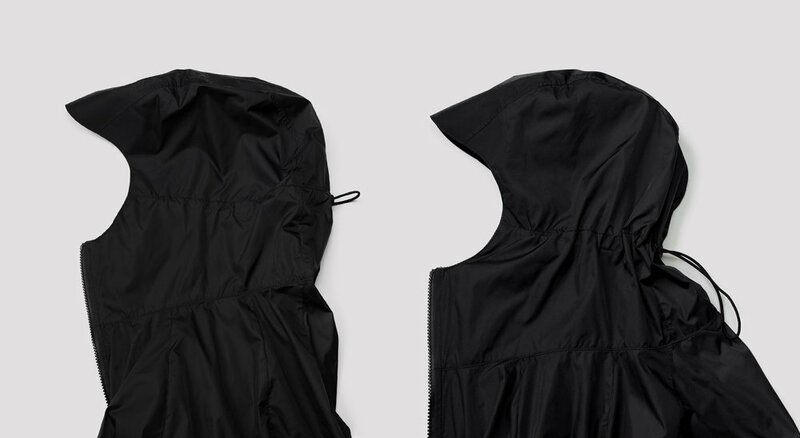 senscommon introduces Cyclist Raincoat - a new unisex classic for urban living. This is no ordinary raincoat. Using a uniquely developed fabric (made of an exact blend of nylon and polyester), the material is literally water tight. Further, the legs have a specialized push button system, the hood is designed for clear side vision and there's even discreet reflective patches for night riding. We love all of these details and feel it sets the jacket apart from others on the market. The label has launched a Kickstarter to help fund the project and there is just a couple weeks left. For the final push, we thought it would be great to sit down with the designer and talk about the brand, the Cyclist Raincoat and what inspires her. Please find our Q&A below. The Brvtalist: Talk about the mission of senscommon and what inspired you to start the brand. Laura Silinska: senscommon is born out of my passion for workwear and utilitarian apparel. It is certainly not a fashion brand but a slowly built collection of urban lifestyle wearables. I intend to creates contemporary relevance through restraint, utility and simplicity - where the every day meets textile technology, and the construction influences the total look. Let it be a coat, a bag, a suit or a curtain, my interest lays in developing new textiles and challenge existing production methods to create things that shape the future. TB: How did you decide to make the Cyclist Raincoat the first piece and how did you go about creating it? LS: Cyclist Raincoat is the beginning of my research in performance textiles and the concept of a minimal black waterproof coat that also totally works for people like me, who cycle every single day, it just had to be done! The world needs it. I focused on the most essential functions of a raincoat worn when cycling and designed a pure elongated silhouette of matte black, soft feel fabric, unisex coat that also delivers on comfort and safety on the road. It is the only lightweight, waterproof yet breathable raincoat made for urban cyclists with strong taste. I think it is good to start, as an independent designer, with a piece that people actually need. TB: What other art forms inspire you? LS: Music is my drive. If it existed as one genre, I would be listening to a mix of space-age pop/ funk/ rythm'n'blues/ psychedelic pop and vaporwave. But as it doesn't, I listen to all of it separately. I also love "set photography" and collage. Artists like Seth Price, Kenneth Anger, Eva Stenram, Kate Bonner...I call all this recycling art - retro futurism and that is exactly how I can describe my work. TB: Talk about what's next for the brand and what direction you would like to see it go in. LS: senscommon will continue to research into new textiles and contemporary uniforms. I am looking forward to collaborating with other designers and artists for the products to come. Also interior objects and home wearables are a niche I want to explore. TB: And finally, how can people support the brand? LS: To manufacture such quality technically advanced products like Cyclist Raincoat, I launched a Kickstarter campaign. It has reached 60% of the necessary funds so far and you are really welcome to help us get to 100%! You can contribute and pre-order senscommon products for another 2 weeks right here - bit.ly/senscommon. We would like to thank Ms. Silinska for speaking with us and it is our pleasure to feature this great, upstart brand. If you haven't done so already, we urge our readers to support the campaign and we look forward to seeing these coats out in the world. You can also follow senscommon on Facebook and Instagram.